GLOBAL AWARENESS 101 - Let your VOICE be heard and get involved. OUR future depends on it! : What Does The Bible Mean By "An Eye For An Eye"? 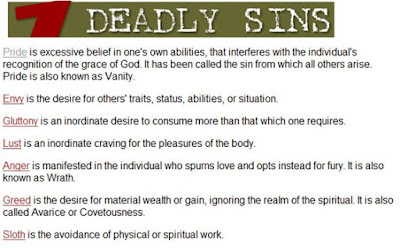 I Hear People Throw This In Christians Faces A Lot Unjustly. 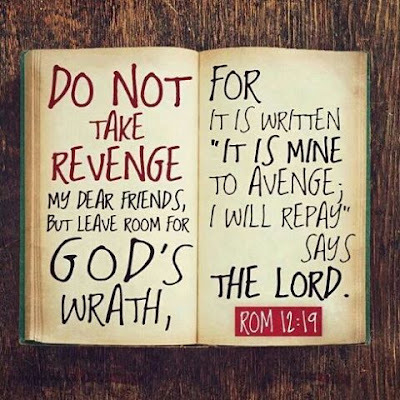 Jesus Says “No” To Using “An Eye For An Eye” As Justification For Personal Revenge. What Does The Bible Mean By "An Eye For An Eye"? I Hear People Throw This In Christians Faces A Lot Unjustly. 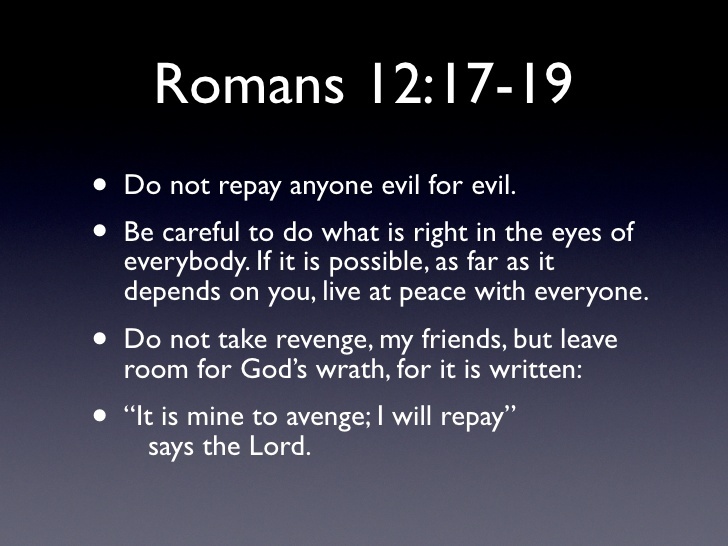 Jesus Says “No” To Using “An Eye For An Eye” As Justification For Personal Revenge. What does the Bible mean by "an eye for an eye"? Question: "What does the Bible mean by 'an eye for an eye'?" Answer: The concept of “an eye for eye,” sometimes called jus talionis or lex talionis, is part of the Mosaic Law used in the Israelites’ justice system. The principle is that the punishment must fit the crime and there should be a just penalty for evil actions: “If there is serious injury, you are to take life for life, eye for eye, tooth for tooth, hand for hand, foot for foot, burn for burn, wound for wound, bruise for bruise” (Exodus 21:23–25). Justice should be equitable; excessive harshness and excessive leniency should be avoided. We have no indication that the law of “an eye for an eye” was followed literally; there is never a biblical account of an Israelite being maimed as a result of this law. Also, before this particular law was given, God had already established a judicial system to hear cases and determine penalties (Exodus 18:13–26)—a system that would be unnecessary if God had intended a literal “eye for an eye” penalty. Although capital crimes were repaid with execution in ancient Israel, on the basis of multiple witnesses (Deuteronomy 17:6), most other crimes were repaid with payment in goods—if you injured a man’s hand so that he could not work, you compensated that man for his lost wages. 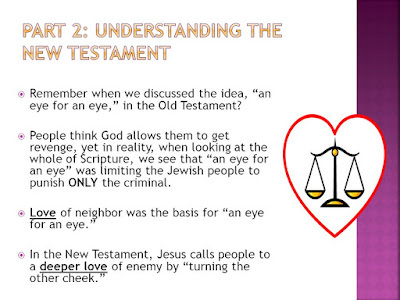 Besides Exodus 21, the law of “an eye for an eye” is mentioned twice in the Old Testament (Leviticus 24:20; Deuteronomy 19:21). Each time, the phrase is used in the context of a case being judged before a civil authority such as a judge. “An eye for an eye” was thus intended to be a guiding principle for lawgivers and judges; it was never to be used to justify vigilantism or settling grievances personally. In the New Testament, it seems the Pharisees and scribes had taken the “eye for an eye” principle and applied it to everyday personal relationships. They taught that seeking personal revenge was acceptable. If someone punched you, you could punch him back; if someone insulted you, he was fair game for your insults. The religious leaders of Jesus’ day ignored the judicial basis of the giving of that law. “Israel sent helicopters to kill a senior Hamas political leader in the crowded streets of Gaza on Tuesday but failed, leaving two other Palestinians dead and 27 wounded. The missile attack threatened to rekindle a cycle of violence and wreck the peace effort. The strike against Abdel Rantisi drew vows of vengeance from the Islamic militant group, which threatened new suicide bombings and attacks on Israeli political leaders. “Israeli Prime Minister Ariel Sharon made clear Israel would not restrain its troops from retaliating against militants, despite U.S. efforts to push forward the peace plan. Rantisi was the most high-profile Hamas political leader to be targeted by Israel, and the violence threatened a return to the spiral of attack and retaliation that has ruined past peace plans. “Thousands of Hamas supporters crowded the courtyard outside Shifa Hospital, chanting slogans against Abbas, also known as Abu Mazen. ‘Abu Mazen, we want resistance,’ the crowded shouted. To bring the issue a little closer to home, one night my family and I were sitting at the dinner table. My daughter Keilah asked a thought-provoking question. She said, “If my brother hits me, is it okay if I hit him back?” Of course, our answer was that she come to appropriate authorities on the matter – Mom or Dad. Too much of the world’s ethic is to: 1) strike back; 2) get even; 3) do unto others like they do to you. 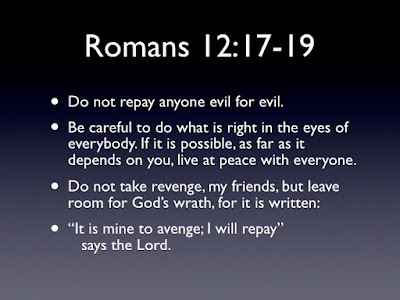 Many times the justification for retaliation is that ancient law, “an eye for an eye, a tooth for a tooth.”188 I have to admit that this retaliatory ethic to right an injustice is appealing to part of me, especially initially when I feel I have been wronged. But Jesus says “No” to using “an eye for an eye” as justification for personal revenge. Instead, He says “turn the other cheek,” “go the extra mile,” “turn over two garments if sued for one,” and “give to the one who asks from you.” Jesus’ teaching is not merely legal and technical, but extends deeply and profoundly into the practical situations of conflict, oppression, and the needs of everyday life. CLICK HERE to read the entire piece that he wrote on this subject.